Here at Central Security Systems Ltd in Nottingham we have solutions to all of your security needs. Whether you’re looking to monitor the door access with stand alone cards or even radio remotes, the team at Central Security Systems Ltd are here to help. We have years of experience as security experts in Nottingham, Nottinghamshire and are here to help increase the level of security at your place of work. We provide services that cover all aspects of security across Nottingham including: burglar alarms, transmitters, wireless alarm systems and even security maintenance. No matter if you’re looking to up your security to simply take better control of the traffic within your business or to protect valuable assets, Central Security Systems Ltd have your every need covered. Our security services and products have been specially designed to be available for all budgets. From our burglar alarms to stand alone cards, we hope that we have something within our range to meet the needs and budgets of all our clients. For more information on our prices and products, please don’t hesitate to get in touch with Central Security Systems Ltd in Nottingham today. We are able to provide advice and information on all of our security products be it our wireless alarm systems, burglar alarms or security maintenance. Don’t wait about until the unfortunate events do occur, prevent them by calling Central Security Systems Ltd for the best quality security systems in Nottingham. Thinking about having a CCTV installation at your business? 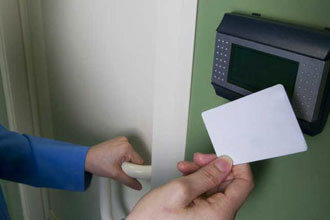 Then Central Security Systems Ltd in Nottinghamshire are the professionals to choose. We have been installing and supplying CCTV across Nottingham for a number of years now and can install CCTV on properties of any size. If you would like to enquire about our CCTV installation service or request a quote be sure to get in touch with our team. We offer a wide range of security services throughout Nottingham including: burglar alarms, door access, security maintenance, transmitters, wireless alarm systems, CCTV installations, stand alone cards and radio remotes. If one of these products interests you or sounds ideal for your security issue or needs, waste no time in getting in touch with Central Security Systems Ltd today. A member of our team will be on hand to help deal with any of your security issues. Be it advice and information or a price up on our security services, Central Security Systems Ltd in Nottingham are by far the team you can count on for all your security related needs. Central Security Systems Ltd have been serving Nottingham with security systems and CCTV for a number of years now. Over the years we have developed an incredible reputation across Nottinghamshire for our CCTV systems, burglar alarms and many more of our security products. So if you’re looking for a team of security experts that you know you can trust, you know who to call! We hope to hear from you very soon to help with your security requests across Nottingham, Nottinghamshire.